The movie Accidents is a science fiction thriller. This movie follows a scientist who is working on a secret project. He comes to find out that the military is taking his ideas for this project behind his back. When the scientist objects to the use of his work by the military, things start to go wrong at his lab. His assistants and lab techs start to die in strange accidents. The scientist has to prove that not only is his research being stolen by the military but they are the ones responsible for the accidents that have been happening to his staff. He is able to enlist the help of another scientist and together they try to destroy his latest project before it gets into the wrong hands. Together they have to get the project back before anything else goes wrong. The movie stars John Cypher, Edward Albert, and Robin Smith. 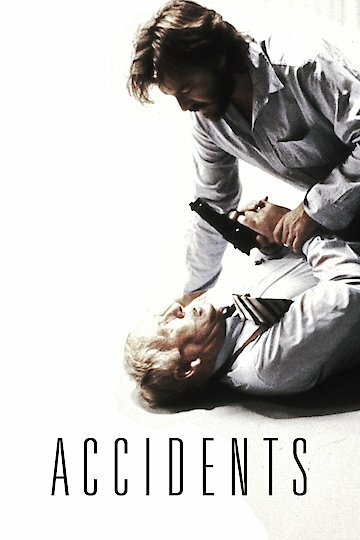 Accidents is currently available to watch and stream, buy on demand at iTunes online.